Bookings for the new 2019 Maruti Baleno facelift commenced from today across all Maruti Suzuki Nexa dealerships at a token amount of INR 11,000. Maruti Suzuki is all set to upgrade its premium hatchback Baleno with a mid-life update. With this India’s largest selling premium hatchback, which competes with the likes of Hyundai i20 and the Honda Jazz along with Volkswagen Polo, is going to get some minor cosmetic revisions. 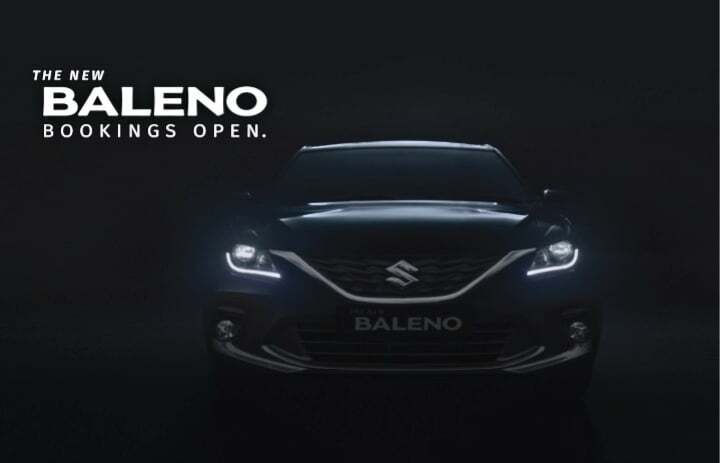 Maruti Suzuki has confirmed through an official statement that they have commenced the bookings of the new Baleno starting today. Interested buyers can book it across all Maruti Suzuki Nexa dealerships at a token amount of INR 11,000. With this update, the Maruti Baleno is going to come with a redesigned front bumper. In sync with this, there are going to be some revisions done to the rear bumper as well. Aesthetically, the new iteration of this car, apart from these revisions, will retain the current model’s appearance. Other revisions will include new machine cut alloy wheels on the top-spec variants and electrically operated ORVMs from the base variant onward. Projector headlamps will become standard across the range with LED lamps on offer from Delta variant onward. That said, features such as the UV-cut glass and the leather wrapped steering wheel will become exclusive to the top-end Alpha variant. There will be a minor increase in the safety equipment list of the 2019 Maruti Baleno facelift. This hatchback already offers dual-airbags, ABS with EBD along with ISOFIX child seat mounts as standard across the range. With this update, standard safety kit will also include speed alert system, co-driver seat belt alert system along with rear parking sensors. Engine specifications of the 2019 Maruti Baleno facelift will remain the same as before. The petrol derivative is going to offer a 1.2-litre, K-series unit capable of churning out 82 BHP along with 114 Nm of peak torque. While the diesel derivative is going to come with a 1.3-litre, DDiS unit capable of churning out 74 BHP along with 190 Nm of peak torque. Transmission options will continue to include a 5-speed manual gearbox along with a CVT automatic unit for the petrol variant only.